Some games’ post-release plans are stingy, others generous, some comically convoluted. And then there’s the seven-part plan for Shadow of the Tomb Raider, an awkward game that is now getting some awkward expansions. On paper before release, it all seemed pretty good. Shadow of the Tomb Raider would be a sequel to the excellent Rise of the Tomb Raider. It’d come out for Xbox One, PS4 and PC all at the same time. It’d avoid competing with mega-mega-games like Red Dead Redemption 2 by coming out in early September. And it’d give players more of what they probably most want—tombs to raid!—once per month, for an unbelievable seven months. In execution, it’s all been weird, including the first expansion, The Forge. It came out last week and exhibits some of the same strengths and oddities as the main game, while also being the first of seven expansions for a game that seems to have already fallen off most people’s radar. I liked the expansion, peculiar as it is, when I played it a couple of nights after release. It put me happily back in the game’s massive Peruvian environment, adding a new quest-giver to my map in the small town of Kuwaq Yaku. 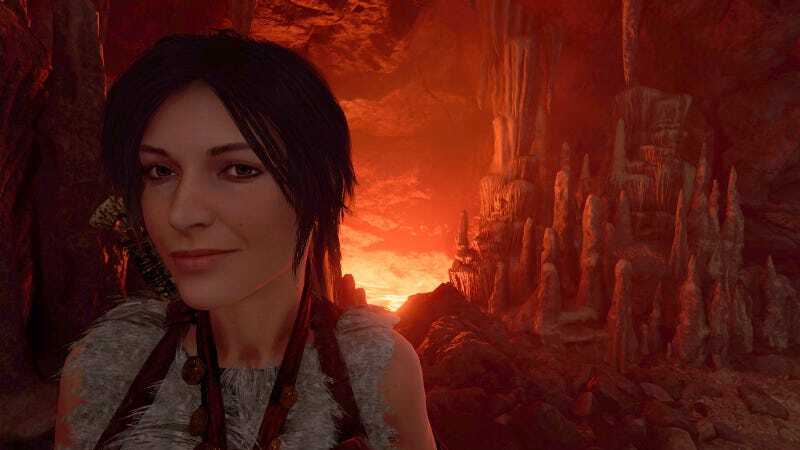 The quest begins with a conversation between our hero, Lara Croft, and the grandmother of one of the main game’s supporting characters, Abigaile Ortiz. Grandma is aware of some secrets about the area and soon enough inspires Croft and Ortiz to seek them out. 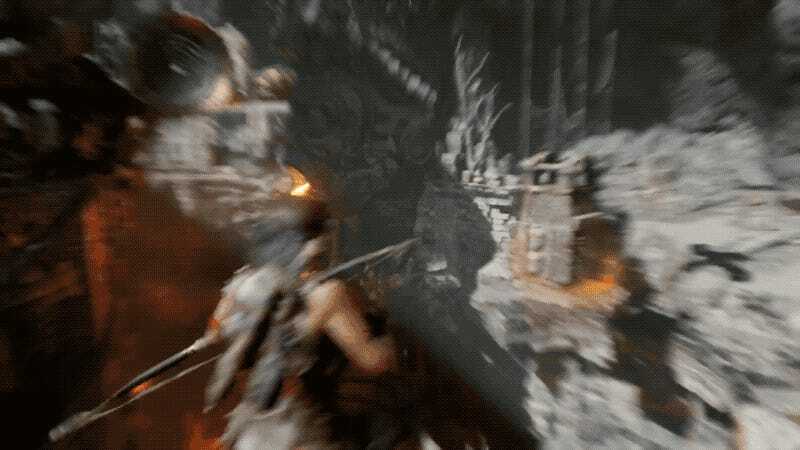 In gameplay terms, this means you have Croft climb through a cave to find a piece of an artifact, then find another one just laying near some trees, while Ortiz automatically grabs a third piece off-camera. This is prelude to entering the first bonus tomb of the game. Amid all this there’s a surprising amount of fully-voiced conversation among the three women about what they’re doing and why. Some of the main game’s numerous tombs were great, while others were forgettable. It made me wonder if the developers saved some of their most striking designs for the paid expansions. Whether they did or not, The Forge turns out to be visually arresting and fun to solve. It involves a huge cavern filled with flames and swinging structures, and then a massive room that is built around a huge pillar lined with a spiral track and a platform that Croft has to figure out how to raise. The new tomb is cool, but the overall offering here is slight, reminding me of the piecemeal expansions for Batman Arkham Knight a few years ago. I really liked that game and was eager for more of it, but one-hour add-ons were frustrating, and I found myself happier to take them all in at once many months later. The Forge tomb costs $5 and also comes with some challenge variations of one of the game’s main tombs (all of the bonus tombs and surrounding quests, set for release through next year, cost $30 in a season pass). The reward for clearing the expansion is strangely inappropriate. You get a new combat outfit and a special shotgun, which seem to have nothing to do with the ancient tomb you’ve just cleared. It’s odd to get a combat-oriented reward, because there’s barely any combat in the expansion, just one fight with some wolves, and not even that much combat in the main game. You also unlock the ability to craft grenades, which I guess is kind of related to having cleared a tomb that was an ancient place where things were forged? The most surprising thing about The Forge is that there are going to be six more offerings like it. I found it enjoyable but strangely framed, just like the main game. Shadow of the Tomb Raider seems to have come and gone for most people, and I can’t help but assume that this seven-part expansion plan was designed with the expectation that the game would have generated more buzz (and dropped price less quickly) than it did. I don’t know how many other people are with me, but I’m curious to see how this plan is going to unfold, even if I suspect I’ll probably enjoy it more by playing it all at once in a year. I guess I’m in for the whole thing.